If you have a Velcro cat—you know, the type of cat that never leaves you alone—then going on a vacation might be a bit stressful for you two. 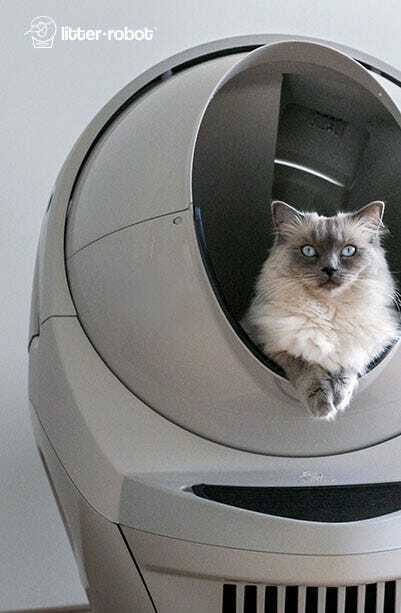 You’ve cleared your schedule, made vacation reservations, and set up everything for your cat. You have a pet sitter lined up, or maybe a place for kitty to stay, you’ve packed up food, treats, and favorite toys. 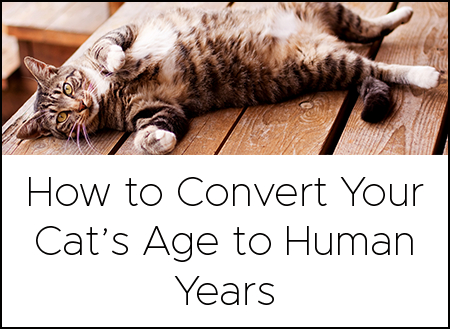 You’ve done all you can to prepare for your cat’s comfort, but you know it will still be rough on kitty (and you). You might wonder if kitty will understand why you’re leaving and how it will affect her. After all, cats are creatures of habit that feel safer with a consistent routine, and here you are disrupting it for a vacation. You hope for the best and prepare for the worst. Here’s how to help your cat get back to a routine after your return. You know how sharp kitty is at observing your emotions. 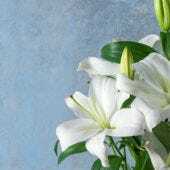 The two of you share a deep bond that makes it obvious to one another when something’s up. When you get emotional or stressed, your kitty will notice and respond with special attention. Getting ready for a trip can be a lot of work. You have to take care of your daily chores, work responsibilities, and then plan and pack on top of all of that. You might be visiting with family and taking gifts, so you have to shop. Plus, you also need to make sure all your bills are paid, so there are no surprises when you return. Your kitty will sense the chaos. Throughout the weeks and days leading up to your departure, try to stick to your normal schedule as much as possible. Make sure to feed kitty on time and set aside a few minutes for playtime and cuddles each day. In addition, set your suitcases out and let kitty spend a few days investigating them. Finally, if you have to drop kitty off at a pet hotel, boarding facility, or with a pet sitter, don’t cry (you can do it!). You WILL be back, so don’t unnecessarily worry kitty, leaving her thinking you’ll be gone for good. If possible, have a video chat with your cat. Some pet hotels even have video monitors where you can watch or speak to your pet. Your kitty may find comfort in hearing your voice, but let’s be honest, this is mostly for your benefit (which shouldn’t be dismissed; you know you’re cat best and you may be able to detect if something’s amiss and requires attention). The best way to comfort kitty in your absence is to leave a worn T-shirt or other piece of clothing or bedding that carries your smell. Anything with your scent will remind your cat of you and the deep sense of comfort kitty associates with you, which will help reduce separation anxiety. On your way back into town, if you’re anything like me, all you can think about is cuddling your sweet furball of joy. While you’re ready for the reunion, don’t be disappointed if your cat doesn’t immediately reciprocate. It can take some cats a few days to readjust to the “new” situation, even though it’s just a return to normalcy. Now that you’re back, kitty may need a minute to process the change all over again. Be affectionate, but also give kitty time to simply sniff and explore you without interruption. 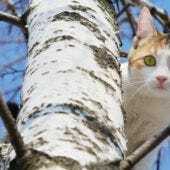 If you left your cat at a pet hotel, boarding facility, or with a pet sitter, make sure to ask them how your kitty behaved while you were gone. Take note of any unusual behavior that was exhibited. 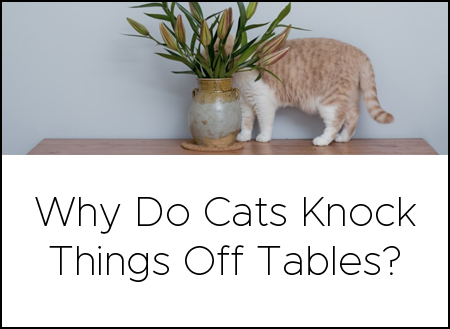 You’ll want to keep those things in mind if you intend to take another trip, or perhaps the behaviors signal the need to take kitty to the vet to make sure everything’s okay. It’s common to be concerned about whether your cat ate enough while you were away. You may feel like your cat lost weight from stress-induced under-eating, which may or may not be true without a scale and a baseline weight measurement. If you feel your cat is lighter, don’t compensate by overfeeding for several days. Feed your cat their typical, appropriate amount of food, and they’ll bounce back over a few weeks. Since this is a time of reunion and celebration, it’s understandable to give your cat a few extra treats to make kitty feel special and loved, just don’t over do it! Returning home often feels hectic: unpacking, reorganizing, laundry, and possibly dealing with the tornado fallout you left as you packed at the last minute before leaving on your trip. Kitty will likely be busy also, sniffing around your luggage and the house, trying to figure out what happened while she was gone. Somewhere in the chaos, right between “just get it done” and “I just can’t right now,” pause. Stop rushing around or peel yourself up from the sofa, and give kitty your undivided attention for a few minutes. If kitty is up to it, try to engage in play. Pick up her favorite plaything and dangle it about, squish it to make that noise, whatever you’d do regularly. This will help alleviate the stress of your temporary disappearance. 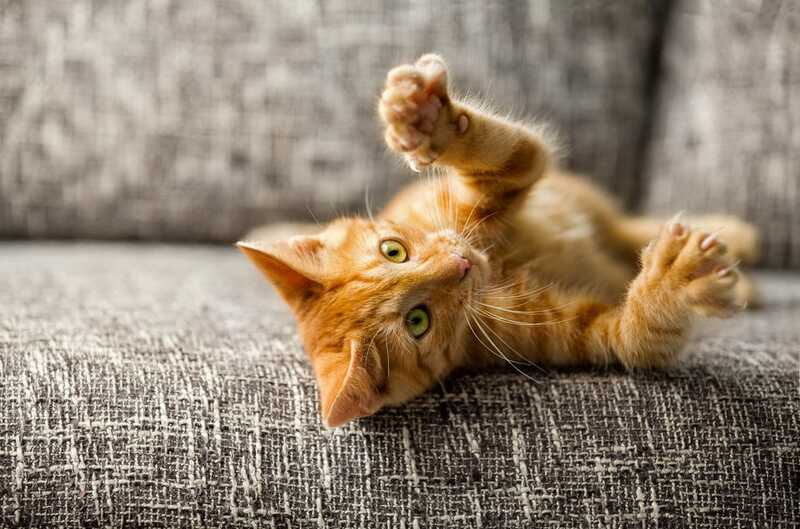 In fact, the connection your cat experiences during play actually helps build your cat’s confidence. Some cats will seem agitated by your return. They may have acted out while you were gone and are having a hard time adjusting to your return. 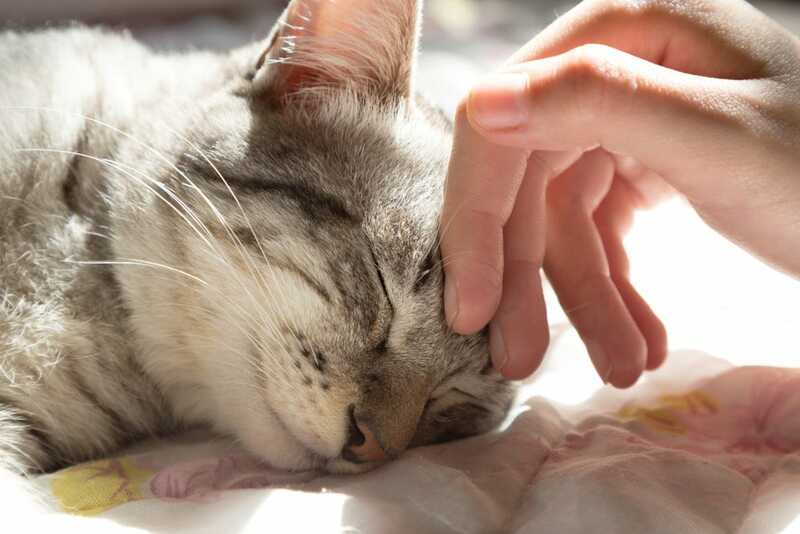 Consider using calming drops to relieve kitty’s anxiety and facilitate your reunion. There are several types on the market that use flower extracts like lavender, that capitalize on kitty’s keen sense of smell to help calm her down. 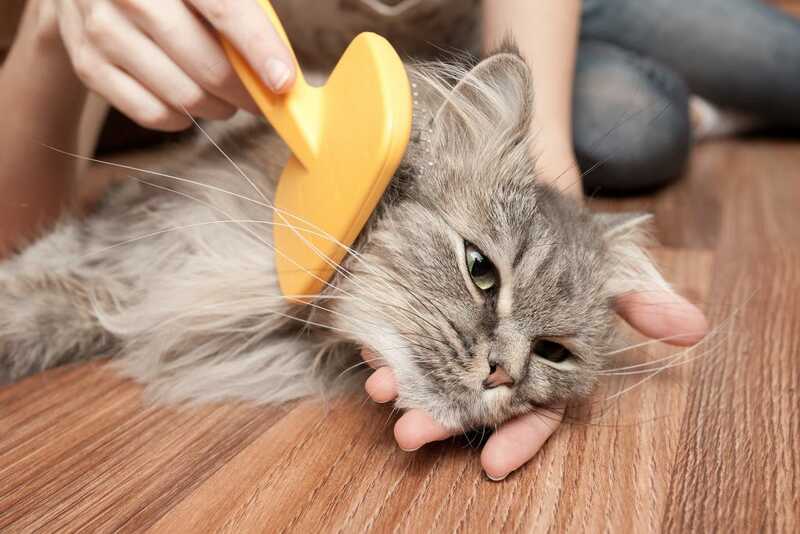 Rub one or two drops on your cat’s head or as directed. The scent should put your cat at ease, which will in turn put you at ease. Believe it or not, research demonstrates that cats do like music, as long as it isn’t too loud or jarring. Any type of soothing music or nature sounds can be relaxing at a low volume. You can even check what’s on the animal channel or select a nature documentary that will feature natural sounds to help your cat chill out. Not sure what music to play for your cat? Check out these recordings made exclusively for cats. Your cat just wants to know that your bond is still strong. Put kitty’s fears at ease by removing distractions and cuddling up in a quiet space. Maybe a nice brushing is in order, or some ear rubs, or slow blinks. Let kitty be the center of attention for a while to melt the stress away—for both of you. When you’re away, your cat wonders where you are and if you’ll ever come back. That disruption to their routine and uncertainty about your return breeds anxiety, which may persist even after you return. The only remedy is good preparation and plentiful kitty love and attention upon your return. 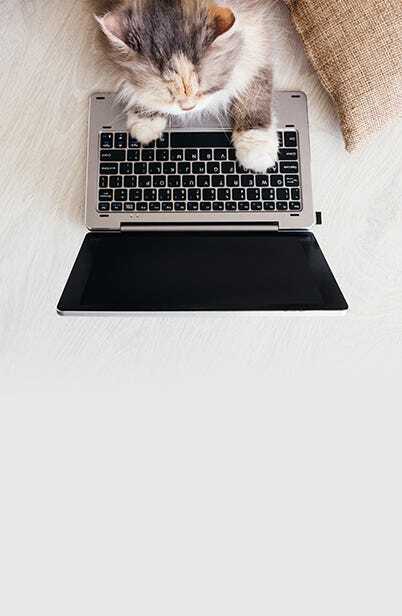 Use these tips and tricks to recover from your time apart, and you and your cat will be back to your normal routine in no time.